We have some exciting news! 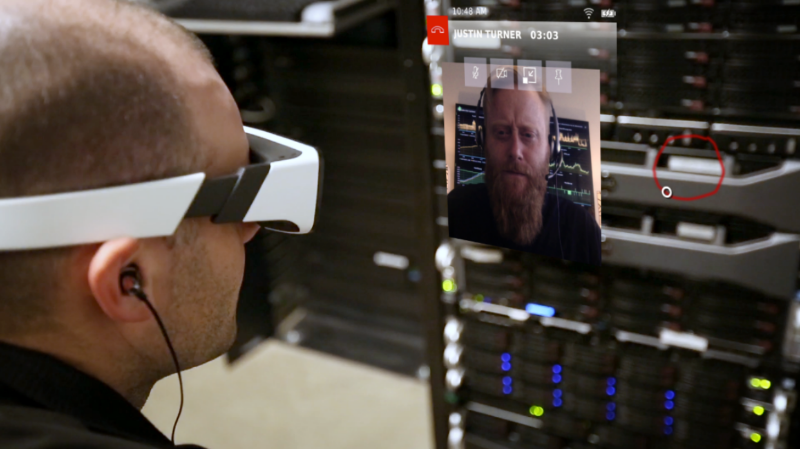 On March 7th, we announced DAQRI Worksense™, a new suite of AR productivity apps for DAQRI Smart Glasses®. Worksense facilitates common tasks and helps organizations dramatically improve existing business processes. Sign up for the Worksense Webinar to learn more. DAQRI Show. A natural combination of video, voice and 3D collaboration, DAQRI Show enables you to bring others into your work situation. Your audience can observe, direct, or annotate your real-world view with digital tools and instructions. DAQRI Show is perfect for hands-free interaction with remote experts who can help you diagnose next steps, or to deliver the ultimate product support experience to your customers. DAQRI Show has evolved from the DAQRI Remote Expert app that has been used by customers for over a year. DAQRI Tag. Manage your operations at a glance. With DAQRI Tag, your critical information or multimedia is visually attached to real-world spaces, facilities and assets. DAQRI Tag can also link to live data from existing IoT systems such as IBM Maximo or Honeywell BMS - making tasks like maintenance and compliance both simpler and hands-free. DAQRI Scan. 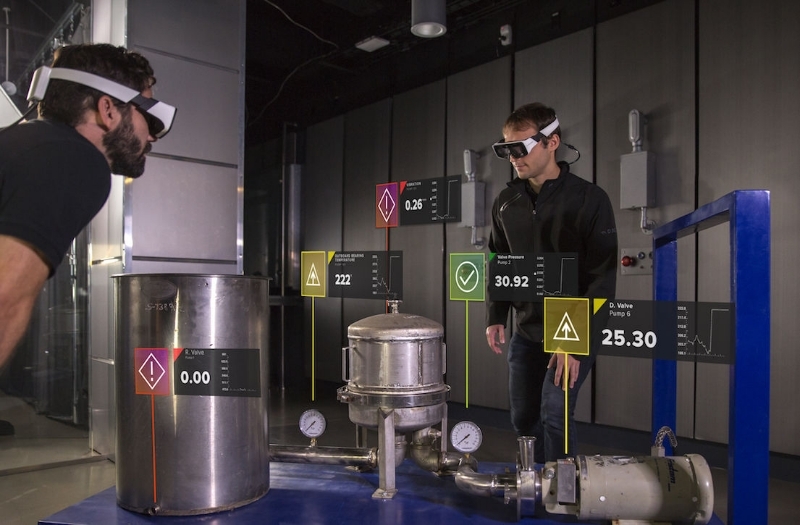 Designed to let anyone critically assess an actual facility or piece of equipment, DAQRI Scan captures environments as photorealistic, shareable 3D models. 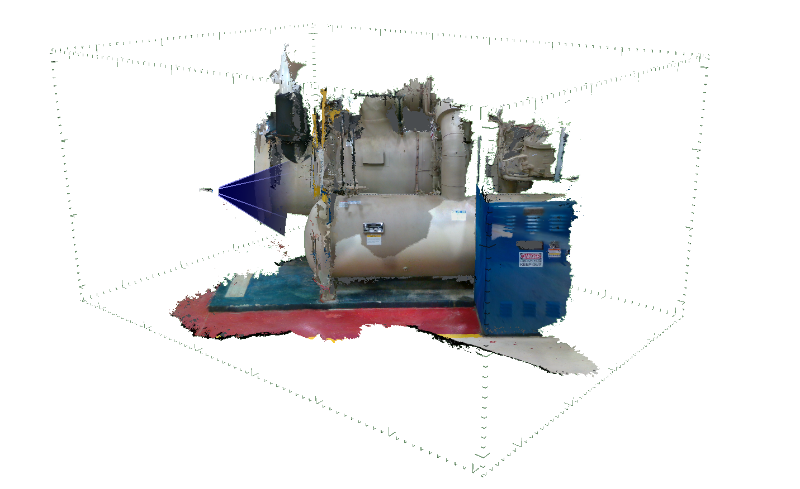 DAQRI Scan is ideal for retrofits, installations, and change detection. DAQRI Scan models can be easily used by platforms from software vendors such as Autodesk or Siemens as well as popular 3D tools and engines like SketchUp or Unity. DAQRI Model: BIM Edition. 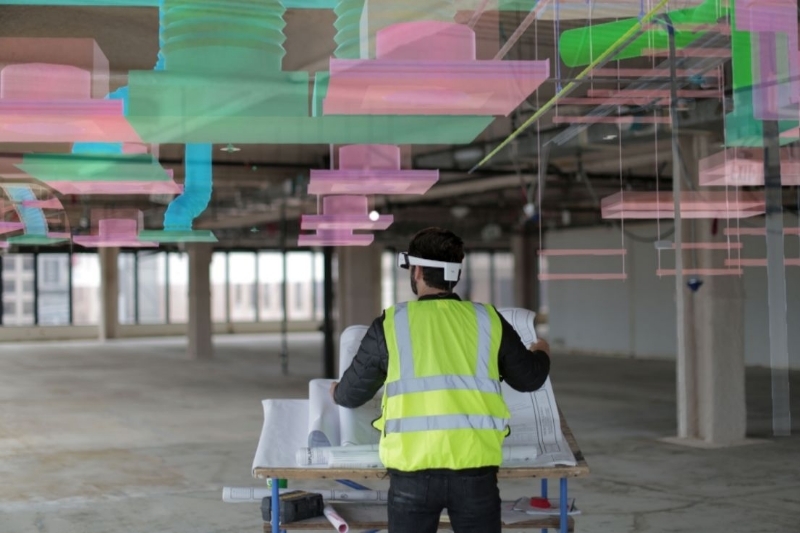 For professionals in the design studio or in the field, DAQRI Model transforms high resolution 3D Objects from Autodesk BIM 360 Docs into immersive, full-scale walkthroughs. With DAQRI Model, teams can compare designs to work in progress anytime and keep the job site and the head office in sync with a fully digital workflow. DAQRI Guide. Workforces need simple, clear ways to stay on track. DAQRI Guide complements the broader Worksense suite to bring instructions and reference media into AR view. DAQRI Guide helps you deliver the content to people in the context of their jobs and environment. The DAQRI Worksense Suite will be available for your preview over the upcoming weeks and months via the DAQRI Worksense Early Adopter Program. DAQRI Show is available to you now. Apply now to the DAQRI Worksense Early Adopter program. DAQRI Worksense Standard, included with every pair of DAQRI Smart Glasses and containing all Standard Edition Worksense apps (Show, Tag, Scan, Model, BIM Edition, and Guide). As a customer, you will receive a perpetual license to DAQRI Worksense Standard when it releases later in 2018. DAQRI Worksense Pro, offering all Worksense apps plus AR capabilities and features for enterprise needs such as team collaboration and analytics. DAQRI Worksense Pro will be offered as an optional subscription later in 2018. As a DAQRI customer, you will receive a no-cost trial of DAQRI Worksense Pro to help determine the right edition of Worksense for your needs. We will let you know when new Worksense applications are available via the Worksense Early Adopter Program, or as released apps. Stay tuned! Thank you for helping to make professional-grade AR come to life!